Executive Summary the question of whether conflict is good for organizations divides academic researchers and real world practitioners. While conflict is acknowledged to have some benefits, real world managers are hesitant to make use of conflict and take steps to avoid it. This divide comes from an information divide. Managers deal with the full scope of externalities and long-term consequences of conflict compared to researchers and this drives their hesitation -- they understand the full costs of conflict in organizations and therefore choose to limit their use of it. Both managers and researchers recognize the benefits of conflict, but managers better understand the full costs. The purpose of this report is to examine the idea that not all conflict in business is bad. This view has persisted throughout much of time, until in the 20th century academics began to see the value that conflict begins to organizations. Managers, however, have historically been slow to adopt the idea that conflict can be good for organizations. This paper will investigate this phenomenon and will offer insight as to which side is correct - are the managers correct in assuming that all conflict is bad? The literature on organizational conflict, while having split into a set of divergent small studies surveying the minutiae of organizational conflict, is largely in agreement today about the potential value of conflict in organizations. Conflict gives rise to innovation, to the breaking of entrenched ideas and ways of thinking, and to providing motivation to organizations. The goal of this report will be to determine if conflict in organizations is beneficial or not. Problem/Purpose. To resolve the conflict between management and academia as to whether or not conflict is a positive force for organizations. Significance. The significance of This paper is related to the long-standing disconnect between academics and real world managers with respect to the benefits of conflict in organizations. Managers tend to be averse to conflict, whereas academics have long argued that when conflict is managed effectively it has positive outcomes for most organizations. 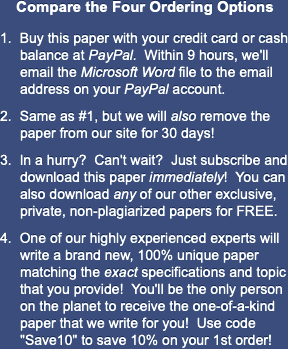 This paper will attempt to shed light as to which argument is more credible. Scope. This study will be focused on the literature pertaining to the study of the value of conflict in organizations. Previous studies have covered the subject well, but some synthesis and analysis remains to be conducted. Limitations. This study will be limited by any limitations in previous research. In addition, there are as many types of conflict in the workplace as there are methods of resolving that conflict. With the large number of different potential scenarios, it is difficult to discuss specifics. Rather, the focus needs to be on broad-based strategies and their outcomes, which may limit the applicability of the study is specific, unique circumstances. Literature Review -- Rahim (2001, a) defines conflict in the workplace as "a process of social interaction involving a struggle over claims to resources, power, status, beliefs…and desires." Conflict, the author contends, is unavoidable when multiple interests are involved. It is therefore only how that conflict is managed that defines conflict's impact on business. The view of conflict historically has been negative, stemming from the works of Plato and Aristotle, and it was not until the 20th century that thinkers such as Dewey began to recognize the positive value of conflict, such as idea stimulation, breaking up inertia and stirring both memory and invention. Rahim (2001, b) furthered this by providing a framework for setting macrolevel strategies within the organization not to minimize conflict itself but to minimize the dysfunction of conflict. The author points out that this shift in thinking is necessary because while the literature has long focused on harnessing the positive elements of conflict, real world managers have continued to pursue conflict avoidance rather than conflict management. By developing frameworks for minimizing the dysfunction of conflict, the hope is that managers will feel more comfortable allowing conflict within their organizations as a result of the reduced risk that conflict would now present. Cohen et al. (2006) noted that conflict occurs frequently during merger and acquisition activity. This conflict, however, is necessary to spur the changes in both organizations that were envisioned by senior management. By using conflict to spur changes, innovation and performance improvement, the synergies envisioned prior to the M&a activity are able to reach fruition. This only occurs, the authors find, when conflict is managed effectively. Recent studies of conflict management tend to be specific, such that they do not build upon each other. However, some information gleaned from these studies helps to understand conflict management as a whole. Vazquez (2008) notes that some conflict is intergenerational. Members of different generations have different beliefs about technology, expertise and rewards. These differences lead to conflict in the workplace. The author proposes that intergenerational conflict not only can be mitigated but it can also be harnessed for the organization's benefit. Body. The literature highlights some of the problems in understanding the value of conflict in the organizations. One significant issue is that conflict is viewed differently by practitioners in the real world than it is in the academic world. This points to gaps in the academic literature, which is focused on various types of conflicts and on the potential frameworks by which those conflicts can be resolved. While the literature tends to focus on short-term outcomes and assumes rationality on the part of managers, managers themselves take into account a much broader set of information. Managers must live with the long-term consequences of conflict. Even if conflict drives innovation and problem-solving, it can also result in distrust and interpersonal issues that make future work within the organization difficult. The literature pertaining to the use of conflict in post-merger situations hints at this difficulty, but does so in the context of conflict that must occur. In the context of conflict that does not need to occur, such long-term issues can push managers towards conflict avoidance instead of conflict management. Indeed, the literature fails to account for opportunity cost in evaluating the benefits of conflict. Conflict may indeed be beneficial, but an economic perspective would also factor externalities created by conflict and would also evaluate benefits and costs over the long-run, not just the immediate short run. Thus, while academia finds conflict in organizations to have many positive outcomes, it glosses over the negative outcomes. It has to be considered as well that managers are not necessarily rational. There is no economic price that can be put upon the high-conflict environment that is productive but difficult in which to manage. The manager, however, may understand that the non-financial costs, such as increased stress faced by managers, need to be factored into the equation. This undermines the assumption of rationality in the academic literature and it does so with good cause. "Managing Conflicts in Business Relationships." 30 May 2010. Web. 24 April 2019. <https://www.essaytown.com/subjects/paper/managing-conflicts-business-relationships/96787>. "Managing Conflicts in Business Relationships." Essaytown.com. May 30, 2010. Accessed April 24, 2019.